Airfix - Britains Next Top Model? Taken from BBC, Friday, 7 December 2007. Airfix has been bought by model train giant Hornby, which plans to rebuild the brand. But will today's Playstation generation even notice? Generations of school children grew up in the 50s and 60s gluing and painting Airfix model planes, from the iconic Spitfire and Lancaster to the Messerschmitt and Fokker - then hanging them from their bedroom ceilings to re-create the Battle of Britain. Airfix was started in 1939 by Hungarian emigre Nicholas Kove. It made air-filled toys, but really took off after World War II when it began manufacturing model kits of Spitfires. "Children aspired to being fighter pilots," says toy historian Arthur Ward. "But if they couldn't be fighter pilots, they would make an Airfix kit of a Spitfire." By the early 1980s, computers and games consoles had begun to push Airfix out of the toy cupboard and onto the scrapheap. Sales declined and the company went into receivership in 1981. For the next 20 years it had a variety of owners and finally went into administration in 2006. In November 2006, Margate-based model train firm Hornby bought the company. "If we can apply the same lessons that we've learnt with Hornby to the Airfix business, really focus on what the needs of the enthusiasts are, but also to make the product more relevant to a new generation of collectors, then I think we'll succeed," says chief executive Frank Martin. Half of Britain's children have a TV in their bedrooms, and two-thirds have a games console. One of the first tasks facing Airfix is to attract a younger fan to modelling. Mr Martin acknowledges that "the Airfix product range has a fairly military focus". "We'll keep that, but also recognise that kids are interested in lots of other things," he says. 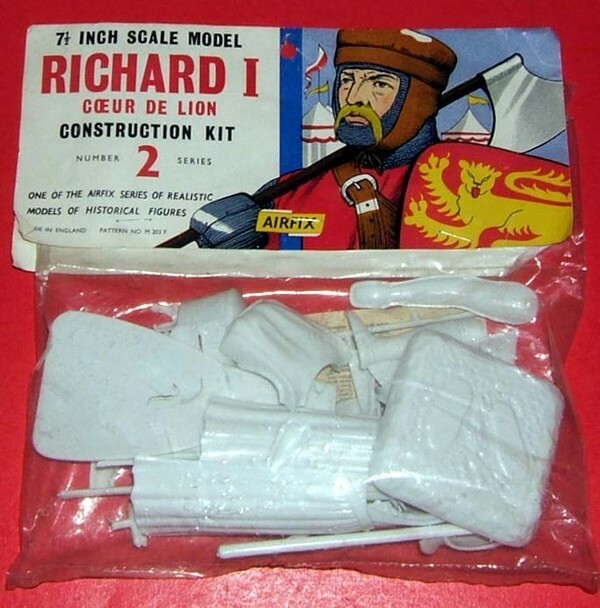 So Airfix is looking to licensing deals - making models of popular TV and film characters - to grab the attention of today's youngsters. It has secured a tie-up with the BBC's hit show Doctor Who to produce a click-together kit with a Tardis, a background and two characters - the doctor, and assistant Martha. Toy experts think it is a shrewd move. "I think licensing deals are particularly important when you are targeting the younger generation," says John Baulch, publisher of leading toy trade magazine Toys'n'Playthings. "Children are such avid media consumers these days that of course it means far more to them to create something from Doctor Who than a World War II aeroplane." Hornby has also revamped Airfix's manufacturing base and moved production to China. "Bluntly, if we hadn't made that move, the Hornby business would be bust by now," says Mr Martin. "All of our competitors were already manufacturing in China, and basically you can't compete with the lower labour rates that are available there." Some 60% of the world's toys are made in China. Airfix initially planned to get the first of its new Doctor Who kits on the shelves in time for the Christmas selling season. It has only partially succeeded. The toy has made it to a leading London store, but the bulk of the 25,000 run will not be available until the New Year. While it is pursuing younger fans, Airfix does not want to alienate its older fans either. The company is working on a rejuvenated "classic" range for the traditional modelling enthusiast. These will also be launched in the New Year. Then observers will be able to tell if the revamped Airfix can really fly again.